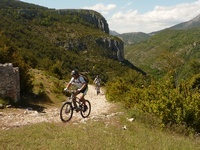 Located in the heart of Verdon, Sylvie welcomes you in her B&B and cottage in Moustiers Sainte Marie. You will stay in charming bedrooms and enjoy our convivial and friendly guest table, cooking prepared with products from local producers. Our guest rooms located in Moustiers Sainte Marie in the Verdon, are all tastefully decorated with accents of Provence colors : natural paints based on linseed oil, colored in the mass coated with pigments, lime, bee’s wax; earthenware terracotta of Salerne in the bathrooms matching the color of the bedroom. Everything is made for you to feel really immerged in Provence culture during your stay. Along with Sylvie, you will enjoy twice a week a cuisine with Provencal and Mediterranean flavours. At our guest table, you will visit Verdon, Provence and Moustiers Sainte Marie in a totally different way through its people, its history and its traditions; you will glean tips for your next day and live extraordinary exchanges with us and other guests from all over the world. 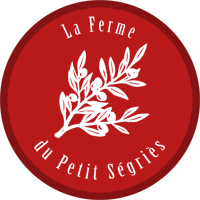 Our guestable at the Petit Ségriès is essential to the success of your holidays. It is mainly what our guests remember long time after and will leave an indelebile impression. 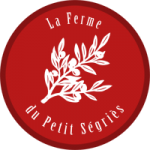 Our guest rooms at Petit Ségriès are ideally situated for cycling as mountain biking, road bike or electric bicycle. Whatever your level of experience is, from beginner to expert. We provide a safe bicycle garage facilities. You are fond about cycling, you can book your stay and enjoy your favorite activity from our guesthouse and get tips from us. You practice occasionally, you can opt for a discovery tour in the lavender fields, or a mountain-bike tour directly from the house. We give all necessary advices and lend bike maps.